Periodically, students or co-pilots will broach the subject of flying an aerobatic maneuver in an airplane which is not designed and built for that purpose. Typically they’ll ask me if, as an aerobatic pilot, I would ever consider performing a barrel or aileron roll in the aircraft. I used to just give them the short answer: “no”. But over time I’ve started explaining why I think it’s such a bad idea, even for those of us who are trained to fly such maneuvers. I won’t touch on the regulations, because I think we are all familiar with those. I’m just talking about practical considerations. Let’s assume the airplane we’re flying is a Cirrus SR-22. Non-acro planes tend to have non-symmetrical airfoils which were not designed to fly aerobatics. They tend to have slower roll rates, lower structural integrity under high G loads, less control authority, etc. The control surfaces are of particular concern. You might have noticed that the control surfaces on aerobatic airplanes are pretty large — they are designed that way because they’re needed to get safely into and out of aerobatic maneuvers. That’s not to say an airplane with small control surfaces like a Cirrus cannot perform aerobatics without disaster striking. 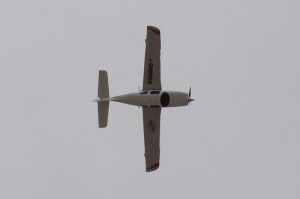 Duane Cole flew a Bonanza. Bob Hoover used a Shrike Commander. Sean Tucker flies (flew?) acro in a Columbia. However, the margins are lower, the aerobatics are far more difficult, and pilots not experienced enough and prepared enough for those things are much more likely to end up hurt or dead. Sean Tucker will tell you that the Columbia may not recover from spins of more than one or 2 turns. Duane Cole said the Bonanza (in which he did inverted ribbon cuts) had barely enough elevator authority for the maneuver, and it required incredible strength to hold the nose up far enough for inverted level flight. Bob Hoover tailored his performance to maneuvers the Shrike could do — he’ll tell you he avoided many aerobatic maneuvers because of the airplane’s limitations. Knowing those limitations and how to deal with them — that’s where being an experienced professional aerobatic pilot makes the difference. And I’m sure none of those guys took flying those GA airplanes upside down lightly. A lot of planning and consideration, training and practice went into their performances. Now, consider the aircraft condition. Any negative Gs and stuff will be flying around the cabin. Dirt from the carpet. Manuals. Items from the cargo area. Floor mats. Anything in the armrest or sidewall pocket. That could be a little distracting. Items could get lodged behind the rudder pedals, hit you in the head, etc. If the belts aren’t tight enough, you’ll go flying around the cabin yourself. And I assure you, your belts are not tight enough. Getting them that way involves cinching the lap belt down until it literally hurts. How many people fly that way? The engine is not set up for fuel and oil flow under negative Gs. 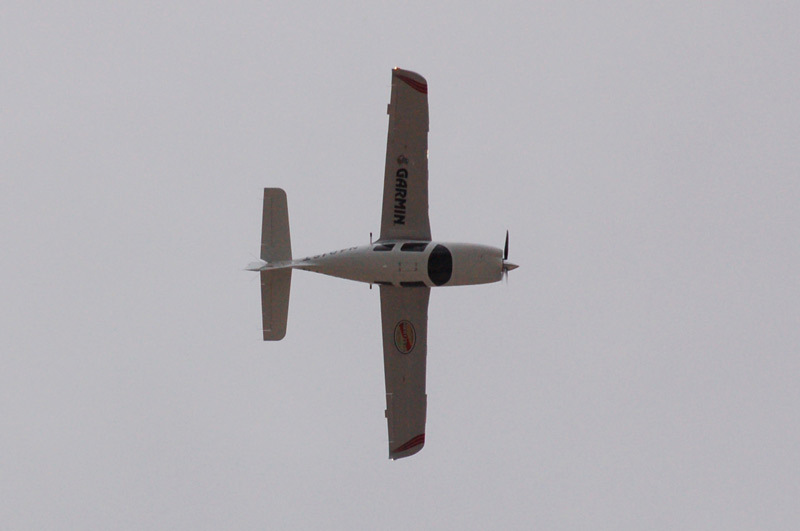 During aerobatics, the G loads move the entire engine/prop on the engine mount. In the Decathlon you can always see the spinner move up an inch or two when pushing a few negative Gs. Who knows what that would do with the tighter clearances between the spinner and cowl on an airplane like a Cirrus. Consider trim. The Cirrus flies around with an all-electric trim system which doesn’t move all that quickly. The aircraft are typically trimmed for upright flight. That trim setting works heavily against you when inverted. I could go on, but suffice it to say that the more I learn about aerobatics, the less I would want to do them in a non-aerobatic aircraft. Sure, if performed perfectly, you might be just fine. But any unusual attitude is going to be far more difficult — if not outright impossible — to recover from. The G needed to get up to speed to establish a ballistic trajectory from straight & level flight are relatively benign, so an aileron roll is probably doable in all smallish aircraft, and a barrel roll, too (cf Tex Johnson’s famous/infamous barrel/aileron roll in a test B707, easily located on YouTube). At least until the end of the maneuver, at which point it becomes pretty much essential that everything’s going perfectly or you’re suddenly headed downhill towards Warp Nine and there are no options left but to load up (pull back) and hope that the speed comes off before the wings do. Good point. Come to think of it, non-aerobatic pilots learn to do the same thing during “unusual attitude” recovery training: for nose-low scenarios, remove any bank angle before pitching the nose up, lest you just tighten the turn and overload the airframe.